The Technical Centre for Agricultural and Rural Co-operation (CTA), together with the Africa Rice Center (AfricaRice) and the Syngenta Foundation for Sustainable Agriculture, has launched a new project that will foster youth entrepreneurship, strengthen market ties, and enhance livelihoods in the rice sectors of Mali and Senegal. In addition to 1,000 new jobs targeted, the project aims to increase revenues for up to 2,500 smallholder farmers in its two-year lifetime. More than 15,000 rural youth will be targeted via ICT channels with information on opportunities for entrepreneurship in the sector. The project, titled EMPRICE (Promoting youth entrepreneurship and job creation in the West African rice value chain), was launched today in Bamako, Mali. “The targeting of young entrepreneurs and the institutions that support them is a strategic focus for CTA. This new project is one example of where we are giving entrepreneurs opportunities to leverage access to finance and markets; showcase best practices and innovative business models; and create pathways to the creation of job opportunities,” said Michael Hailu, CTA Director. Youth employment remains a critical concern and priority for West African governments. The project will capitalise on a dynamic workforce to drive innovation and boost the rice sector which constitutes the largest supplier of calories in the region. Increasing rice production and upgrading the rice value chain will reduce reliance on imports, increase food security, reduce urban migration and give more of the regions’ youth valuable employment opportunities. An example of the challenges faced by small-scale farmers is in accessing seed of recently released, high-yielding, climate-smart varieties, as well as agricultural machinery for cultivation, harvest and post-harvest operations. 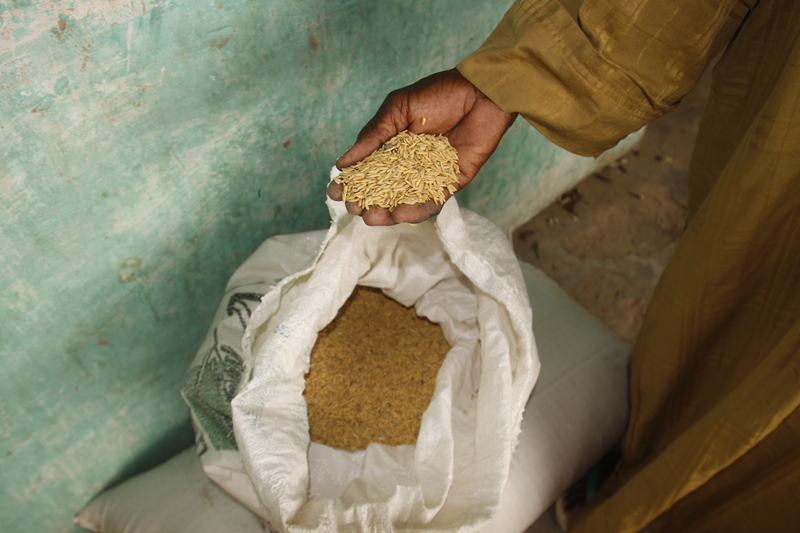 “The Rice Market is now becoming a very important one in Africa. A project such as EMPRICE creates opportunities for rural youths through ICTs and digitalization to exploit this lucrative and attractive market for entrepreneurship creation and youth employment,” stated Harold Roy-Macauley, AfricaRice Director General. AfricaRice is a CGIAR Research Center – part of a global research partnership for a food-secure future. It is also an intergovernmental association of African member countries. It has been mandated to support its member countries in developing the rice sector through research, development and partnership activities. The Center was created in 1971 by 11 African countries. Today its membership comprises 26 countries, covering West, Central, East and North African regions. AfricaRice headquarters is based in Côte d’Ivoire. Staff members are located in Côte d’Ivoire as well as in AfricaRice research stations in Benin, Liberia, Madagascar, Nigeria and Senegal. For more information on AfricaRice, visit www.AfricaRice.org. The Syngenta Foundation focuses on productivity and the inclusion of farmers in remunerative value chains. The focus is on ‘pre-commercial’ farmers, often in semi-arid areas, who display potential for agricultural growth. The aim is to help small farmers become more professional growers. It is done by extending science-based know-how, facilitating access to quality inputs, and linking smallholders to markets in profitable ways The Foundation runs projects in Africa and Asia, and contributes to the agricultural policy debate worldwide. It works with a wide range of partners operationally and in thought leadership. The Foundation engages, for example, the public sector, international organizations, think tanks, the private sector, other foundations, social entrepreneurs, and non-governmental organizations (NGOs). As well as establishing pilot projects, the Foundation also puts major emphasis on successful scale-up. For more information on the Syngenta Foundation, visit www.syngentafoundation.org.